 Basin Aviation is a Part 135 Aircraft Charter Service and FBO located in Midland, Texas at Midland Airpark (KMDD). Whether you need to fly from Midland, Odessa, San Angelo or even beyond West Texas, we'll pick you up at the airport of your choice and get you to your destination on time and hassle free. We operate the Largest and Newest fleet of charter aircraft in the Region. Drive up to your airplane and let us take care of the rest. We'll fly you to the airport that best suits your needs. Over 5000 US airports are accessible with Basin versus 500 with the airlines. We know that your time is valuable so we're ready to go when you call, saving time & money. Whether you're traveling for business or pleasure, we offer luxuries onboard our aircraft that make your flying experience far more comfortable than others. Since 1979 Basin Aviation has met the travel needs for thousands of customers in West Texas and beyond. Our Part 135 FAA regulated charter service is held to the highest Federal Aviation standards requiring superior maintenance, pilot requirements, and training curriculums. "When I need to get somewhere fast, I call Basin. They've always gone out of their way to meet my travel needs and provide a comfortable flying experience." "I think the world of Basin. They're a highly trained group of individuals who are dedicated to serving their customers."